Three large bedrooms, all new appliances including w/d and dishwasher, fully insulated and heated, air conditioner, large back yard, 1 minute walk to large, sandy beach; open concept kitchen/living room, tastefully furnished, wide pine floors, flat screen TV, tub and shower. Located on quiet dead-end street. We have two young children and our family is very active with biking, swimming, fishing and canoeing. We have vacationed on the lake for 15 years, and in Colchester for 11 since the birth of our son. It is an ideal location for an active family looking for a vacation spot that lets you spend your time relaxing and having fun! The beach is sandy and safe. The neighborhood is friendly and welcoming. The bike path is 1/2 mile away. Nice backyard and plenty of amenities within. This rental cottage is complete with all you need for a perfect vacation. Just bring your clothing, food and your choice of recreational equipment. The cottage is in a great location, a short walk from a beautiful beach with lovely water views. It's a great place to stay and enjoy the views and is also close to all the Burlington area has to offer. 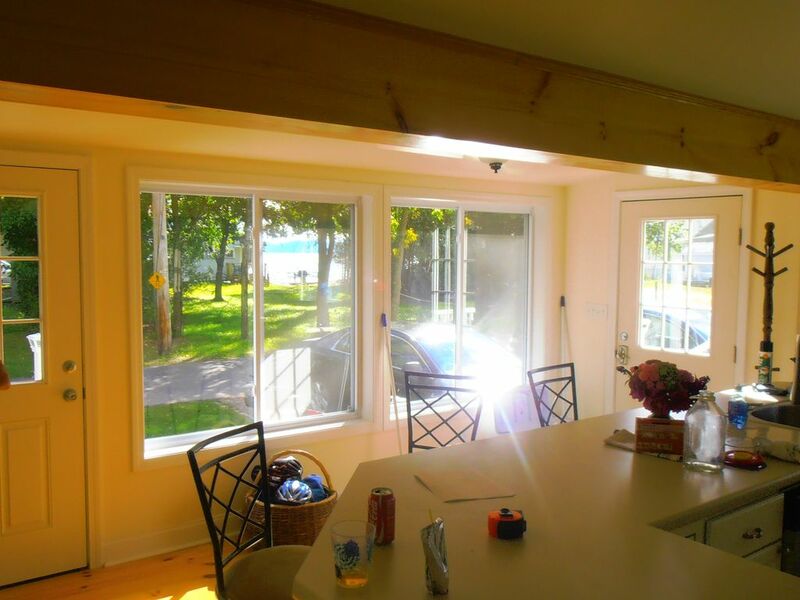 The cottage is clean and comfortable and well-equipped for a vacation stay. We spent 3 days there in October and thoroughly enjoyed our visit. We loved staying in this rural area just outside of Burlington. We were close to everything but in a quiet area with a view of Lake Champlain out the front window. The house was clean and well equipped and we enjoyed our stay very much! Great cozy cottage in a fabulous location with friendly neighbors! The cottage was just the right size for our family. We took our two dogs who also enjoyed the beautiful scenery and walks along the Point. two grandparents, one parent and 2 grandkids spent a wonderful week at Karlie’s place. The camp has everything we needed, is well maintained and was very comfortable for us. We hope to be back next year for 2 weeks! We come here every year and the place just keeps getting nicer and nicer! One minute walk to a sandy beach, property is within 1 mile of the Lake Champlain bike path and within 1/2 mile of the Colchester Causeway.